If a student has forgotten their password to log into MasteryConnect, they are instructed to ask their teacher to reset it for them. 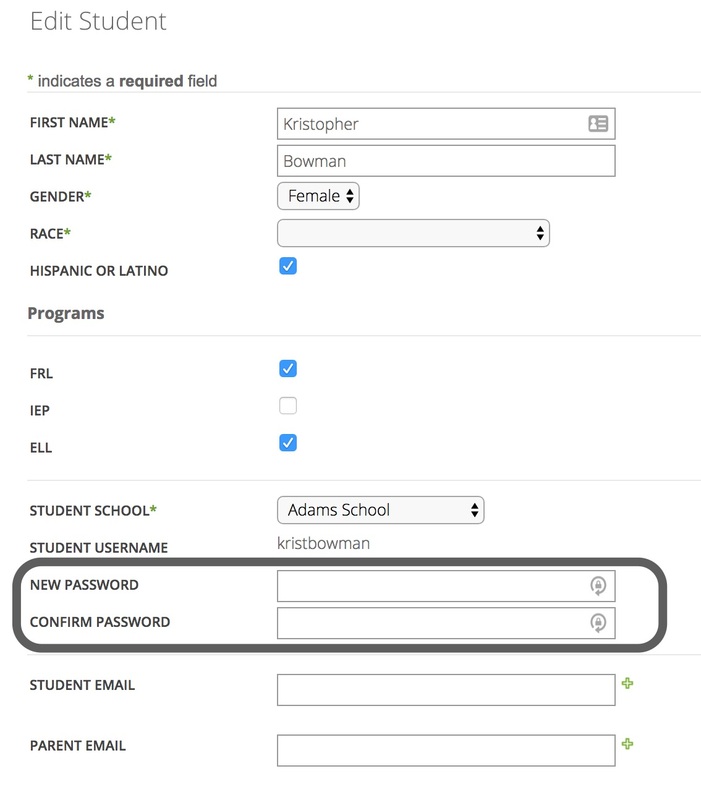 This Student Login is only available if your school or district Student Information System is integrated with MasteryConnect. Note: You will not be able to change a student password until the student has activated their account. Click on Trackers , then click on Students. Find the student in your list and click on Edit. Enter a New Password, Confirm Password, and click on Save. The student will now be able to log in with the new password you entered.